Our Clergy team works together to meet the spiritual, pastoral and educational needs of our congregation. To make an appointment with a rabbi, please call the Temple Office at 831-479-3444. Senior Rabbi Paula Marcus (pmarcus@tbeaptos.org) has served Temple Beth El since 1979, first as a teacher in the religious school and the preschool, then as a co-principal of the religious school, then as a congregational cantor, and as Rabbi beginning in May 2004, upon being ordained by the Academy for Jewish Religion in Los Angeles. She has apprenticed with cantors in the U.S. and Israel, and she received her BA in Judaic studies from SUNY at Binghamton. She also has a masters degree in Rabbinic studies from the Academy of Jewish Religion. She demonstrates her commitment to exploring Jewish prayer and learning as rabbi, cantor, worship service leader, and teacher. 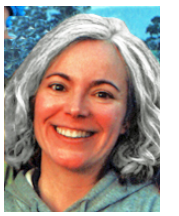 Rabbi Paula sees Jewish practice as an ongoing, joyous celebration of God and ourselves. Rabbi Paula is involved in all aspects of the congregation. Associate Rabbi Shifra Weiss-Penzias (swp@tbeaptos.org) comes from eight generations of rabbis on her mother’s side, including her grandfather, an Orthodox rabbi in the Bronx. 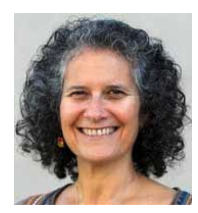 Rabbi Shifra received her BA in Sociology at Brandeis University, and her rabbinic ordination and M.A. in Hebrew Literature from Hebrew Union College in New York. She served as a rabbi for three years in New Jersey, one year in Boston, and four years in Seattle. Rabbi Shifra loves to teach adults and children, sing, talk about G-d, strategize about how to preserve the environment and create a better world, spend time outdoors, and enjoy all things Jewish with others. She loves to plan community events, religious services and family programs which incorporate spirituality, music, dance, drama, art, stories and games and encourage active participation. She and her husband, Peter, are the proud parents of two children, Kaima and Jordan. 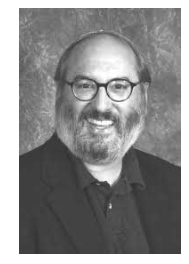 Rabbi Emeritus Richard M. Litvak (rlitvak@tbeaptos.org), an esteemed leader, dynamic teacher, and wise counselor, has nurtured the continuous growth and development of this congregation since 1977. Under his guidance and inspiration, our temple has become a center for Jewish life in Santa Cruz County and a genuinely caring community. Rabbi Litvak was ordained by Hebrew Union College in Cincinnati, Ohio. He holds an MA in Hebrew Arts and Letters and is a licensed marriage and family counselor. He is a rabbinic member of the Chesky Institute for Judaism and Psychotherapy, an organization of the Central Conference of American Rabbis.